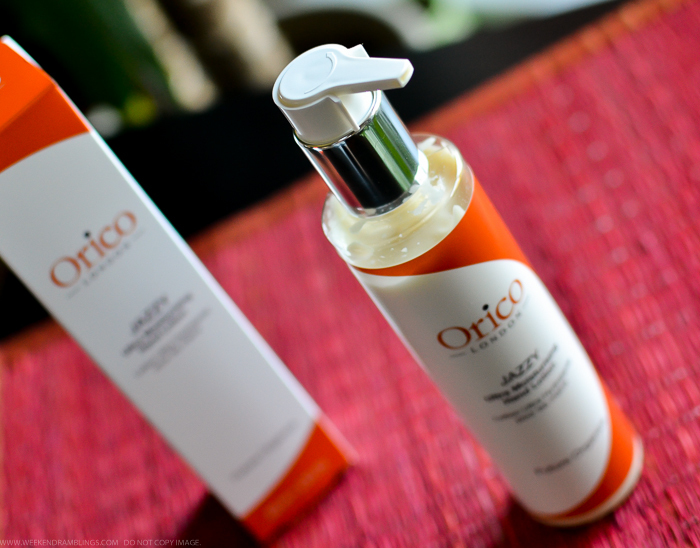 From the thoughtful packaging to the lightweight formula, there is a lot to love about the Orico London Hand Lotion. Starting with the design of the bottle, this comes with a pump dispenser with a locking mechanism to avoid accidental leakage. There is also a small plastic insert that can be placed along the neck of the dispenser to avoid spills during travel/shipping. The lotion itself smells amazing with a burst of citrusy freshness from the aromatherapy blend of mandarin and orange essential oils. 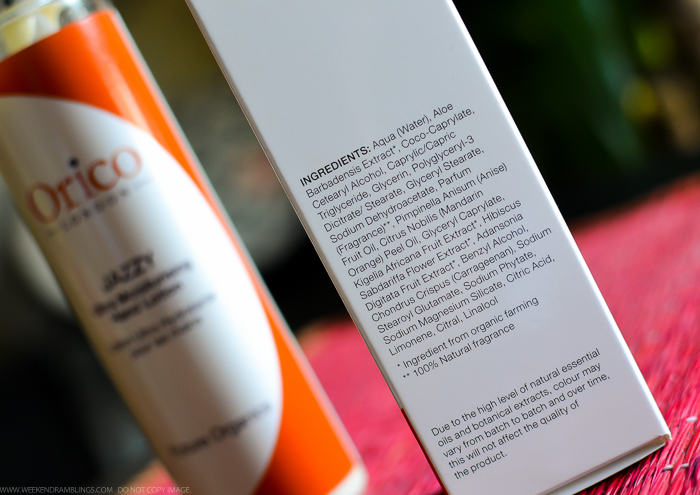 The formula is light, absorbs easily into the skin, and does not leave any greasy or slippery residue on the skin. This lotions uses organically farmed ingredients and natural plant extracts to provide moisture and protection to the hands, and I also like that it has a 100% natural fragrance. My hands feel moisturized and healthy, and I don't have to wait or worry about leaving fingerprints on everything I touch. 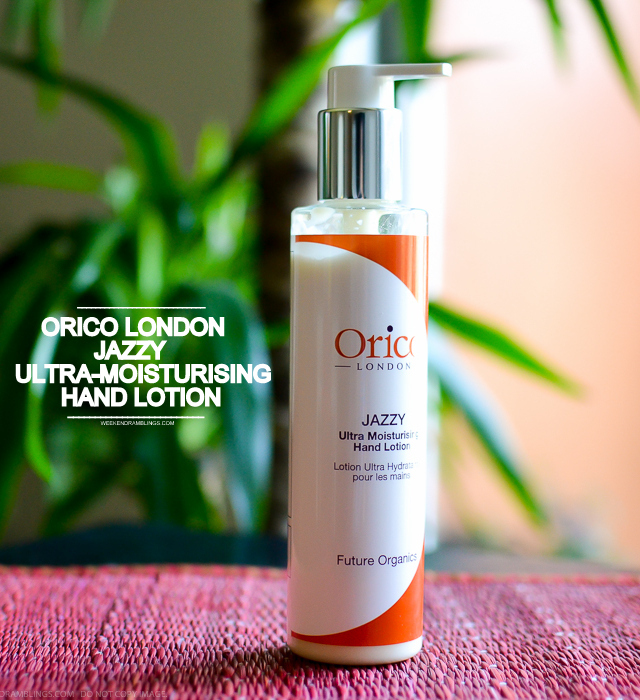 Overall, the Orico Jazzy Ultra-Moisturising Hand Lotion is definitely one of the best hand lotions I have tried in a long time. It's perfect for using through the day, and it leaves my hands feeling (and smelling) great. 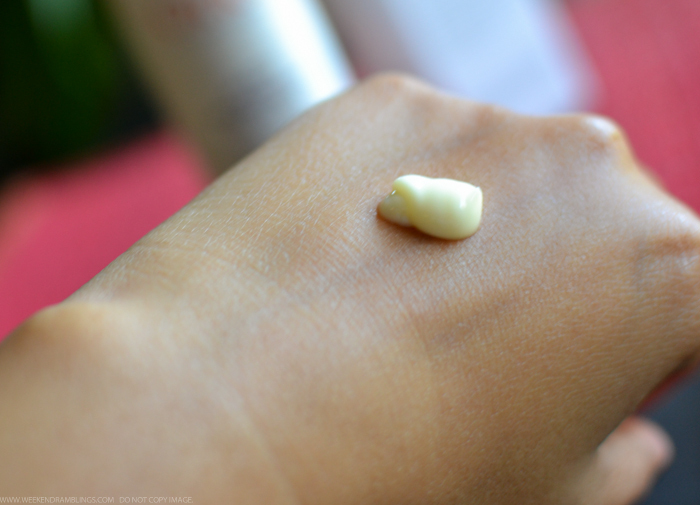 Get this a try if you are looking for a rich yet grease-free moisturizer. 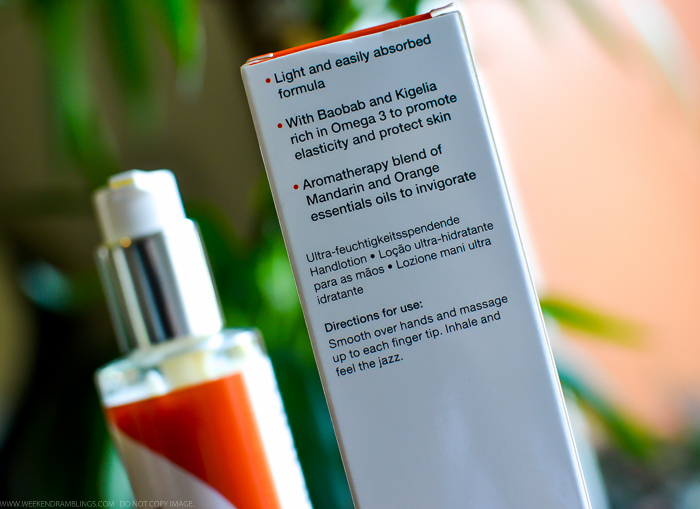 Aromatherapy blend of mandarin and orange essential oils to invigorate.